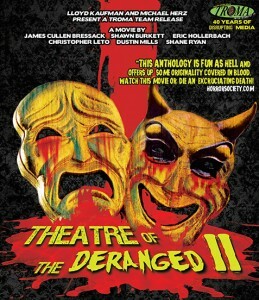 Lloyd Kaufman’s Troma has acquired Theatre of the Deranged II, a series of films made by several young and notable horror filmmakers. It’s only fitting that Troma picked it up because these filmmakers are excellent at pushing the limits in their films to entertain and shock fans. For more information see the press release below.